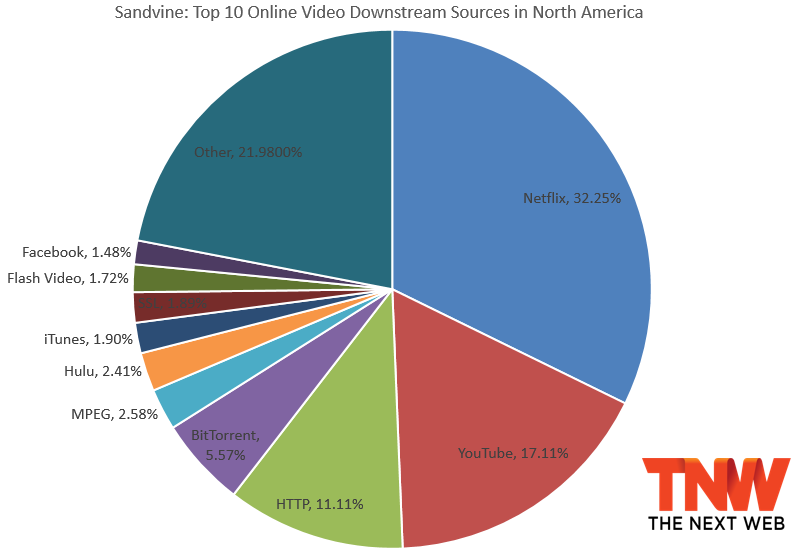 Once again, broadband Internet service tracking firm Sandvine has released its latest report for North America, and once again, Netflix is ruling Internet usage. This time, however, there looks to be small indication that Netflix is gaining on the mobile Web as well. As you can see, during the Internet’s peak, Netflix accounts for 32.3 percent of downstream traffic in North America — much more than any other single site or service. It’s worth noting that Netflix has been maintain this one-third mark for a few years now, and its share actually decrease recently. While we observed that their share of traffic decreased by a fraction of a percent since our 2H2012 study, it should not be interpreted as a decline in the popularity of the service at the expense of their competitors. 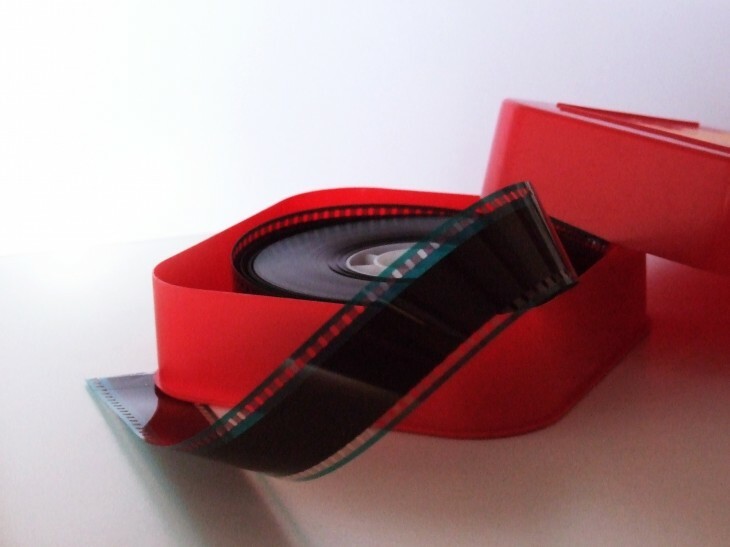 In fact, competing pay-video services such as Amazon (1.31%) and HBO Go (0.34%) saw their relative share decline in a greater amount than that of Netflix. The below pie graph puts the streaming firm’s first place status into better perspective. No, the real story here is that Netflix’s North American mobile data usage share almost doubled from 2.24 percent to 3.98 percent in the last 12 months. Sandvine believes that that this number will increase going forward and that longer form video as a whole will become more commonplace on mobile networks in North America. Watching TV episodes and movies on your mobile screen is less than ideal, but it is becoming more and more viable. As smartphones grow in size and connections become faster, and as tablets become more ubiquitous, Netflix could find itself taking on YouTube in a few years. By the next report, we wouldn’t be surprised if it muscled its way past Google Play and SSL traffic to move into the top five for downstream mobile traffic.